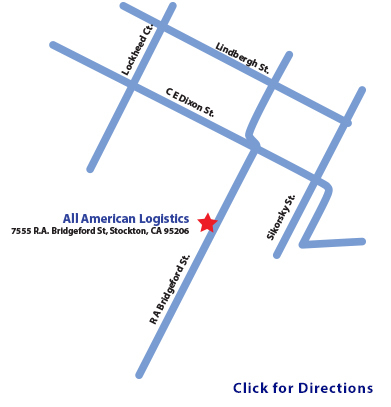 Based in the San Joaquin Valley, our facility is ideally located to service high demands for in-bound CA freight and out-bound freight. We anticipate the coverage of our customers' needs by providing extended coverage over the time zones within the United States and have available emergency contact numbers for evening and weekend needs. Our company is located out of Stockton, Ca.